It's useful for digital designers and marketers to understand consumer's preferences when it comes to smartphone operating systems. So, what's happening in the mobile device market? Which smartphone OS is leading from a pure sales perspective? Let's take a closer look. 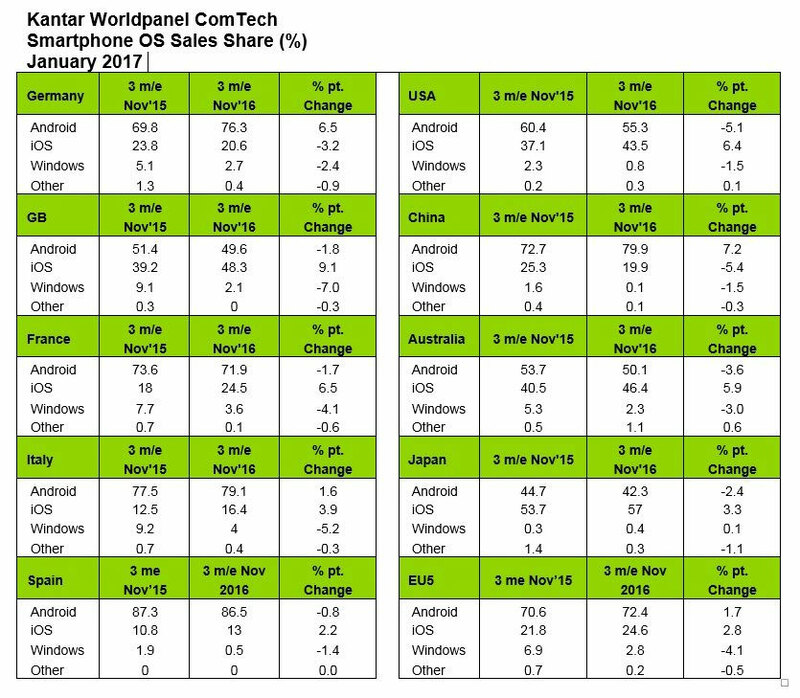 The latest smartphone OS sales data from Kantar Worldpanel ComTech shows Android sales declined in the US, GB, and France, as iOS continued to make gains across most regions in the three months ending November 2016. That is the sixth consecutive period of decline in the US for Android. While Android decreased in the US over the past year, the brand new Pixel phone by Google made strong gains, rising to 1.3% of sales in the three months ending November 2016, with more than half of that business done through Verizon, according to the report. This data may influence how you design and market mobile experiences (be they apps or websites) and so it's important to remember from a strategic standpoint. One of the more interesting data points in the report is that Japan is the only country where iOS leads Android.